An incredible home...and a wonderful value with much to offer in the Falls of Lost Lake one of Hobe Sounds premier gated communities. This three bedroom custom home, PLUS den/office has loads to offer and was recently beautifully updated. The home boasts an open split floor plan, volume ceilings and an incredable amount of space. Upon entry, you will be immediately impressed! Enjoy the large ALL NEW custom kitchen with state of the art design; gorgeous cabinetry and Cortez surfaces, Brand New S/S appliances and more (never even utilized and waiting for you)... all installed in 2018! Enjoy the design of beautiful new designer inspired tile flooring and more...more...more! The perfectly situated Great Room is spacious and relaxing and with its wood clad high ceilings... a center piece ceiling fan (it is like art) (with lighting around the fans alcove) the room reflects its spaciousness! Enjoy your morning coffee in your breakfast area OR within the wrap around outside screened covered patio which surrounds the kitchen and great room area. The guest bedrooms are extremely spacious and are located in a separate "wing" of the home. Brand new carpeting is in the guest bedrooms and the office! while new carpeting is in the office. The Master Suite is located in another separate "wing" and is extremely spacious and includes upper height windows, crown molding, sliding doors to your covered patio and a new master bath! Additional features include a paver drive, lush tropical landscaping, city sewer and water with a well for outside irrigation, 2 zone Air Conditioning each zone with a NEST SYSTEM (master BR unit new 2018 and other unit new 2012 with 2018 new Coyle), new wide baseboards for luxury and so much more! The community, The Falls of Lost Lake, is a community of all custom homes and hosts a grand main entry with beautiful plantings, massive waterfalls, a beautiful entry and more! Low association fee's include HD T.V. Cable services. 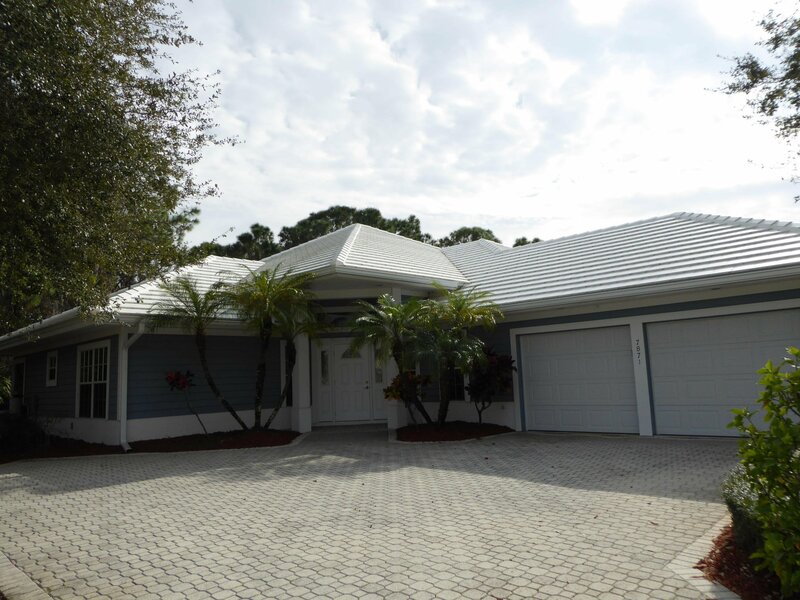 This home is a must see for those that want to move into one of the few totally custom home gated communities in Martin County. Located within minutes of the Lost Lake Golf Club...many residents drive their golf carts to the course as it can be accomplished primarily inside of the community. Golf membership is NOT required, yet it is available. You can join with membership or play golf without membership. Close to beaches, shopping and so much more! This is a must see home and must see value!